A company operating in the field of medical innovations approached us about an ambitious project with many difficulties. These were several assembled parts, some of which were in large sizes and others transparent. The file consisted of 14 references to be produced in 5 sets. To do this, we produced 5 or 10 copies depending on the part. In addition, 7 references had to be produced with a polished-mirror finish to be transparent, while ABS PU parts had to be painted in RAL 9016. Finally, a reference had to be made out of metal. The parts had to comply with the UL94-V0 standard. In fact, this is often required in the medical field. Our workshop therefore used a PU ABS UL94-V0 material, 8260 from Heicast. The parts had several needs. These sometimes required screw threads. In addition, some of the holes had to be produced with brass inserts. The paint used to obtain RAL 9016 had to comply with the European ROHS standard (Restriction of Hazardous Substances). The project involved many parts with large sizes. It was necessary for the parts to be delivered to the customer fully assembled. During our exchanges, the customer added to its request the 3D file of a steel strip inserted into one of the parts already present in the file. 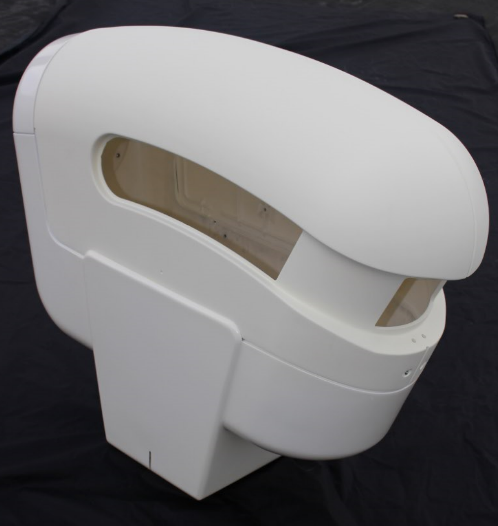 After reading the specification, our workshop selected vacuum casting for the plastics parts for this project. 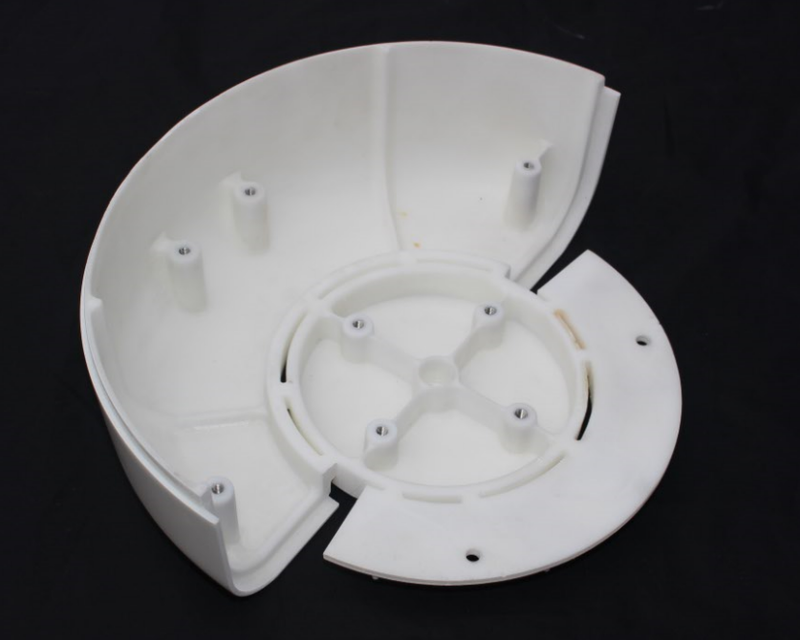 We produced it from PU ABS UL94-V0 by silicone molding. It decided to produce the metal part from aluminum. This part was the only one produced by CNC machining. A paint finish RAL 9016 was applied to most of the non-transparent plastic parts. The transparent parts were prototyped by PU PC vacuum casting with a polished-mirror finish. They were assembled by gluing with an adhesive for permanent fixing. Finally, we created the strip by machining of stainless steel. We assembled and delivered the 3D prototypes t o the customer. 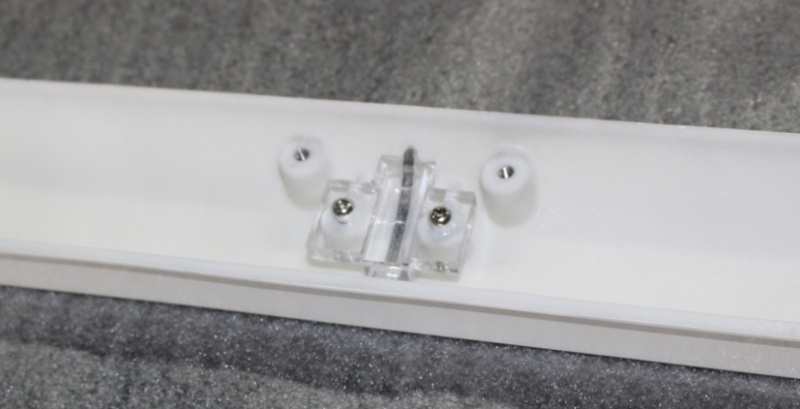 The customer complimented us on the high quality of the prototypes. In fact, they were functional and the finishes satisfied the customer completely. The comments of this customer are available on our Comments page. For more information on the services of Prototech Asia, please contact our team via our dedicated page.